I spotted these amazing leather pants at Indigo Style Vintage in Bed Stuy and knew I had to leave in them. Literally. The decor of Sincerely, Tommy (also in Bed Stuy) is the perfect blend of vintage + modern. Grab a latte + pastry while you shop for one-of-a-kind finds. Proof that I started the day in a skirt before changing into said leather pants mentioned above. Many NYC trips later and this was my first time to the Whitney Museum. 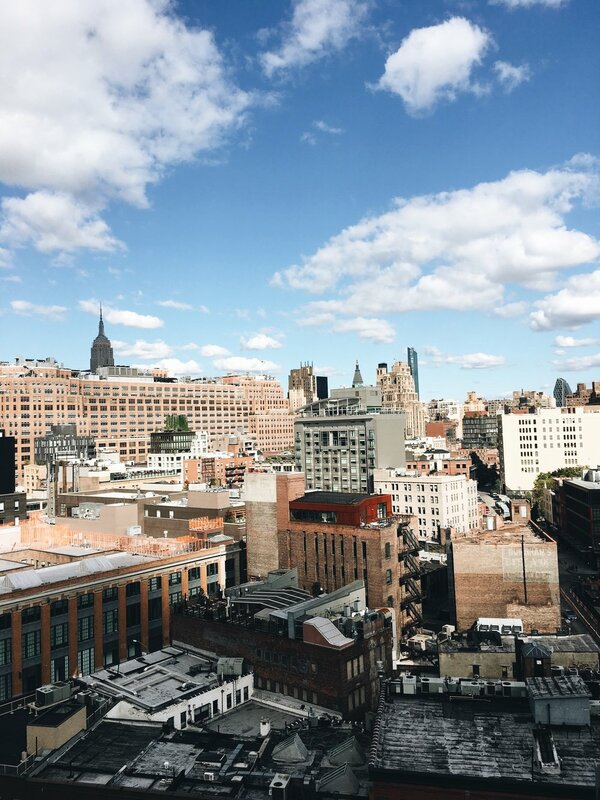 Of course, the views from the restaurant balcony are Instagram worthy. 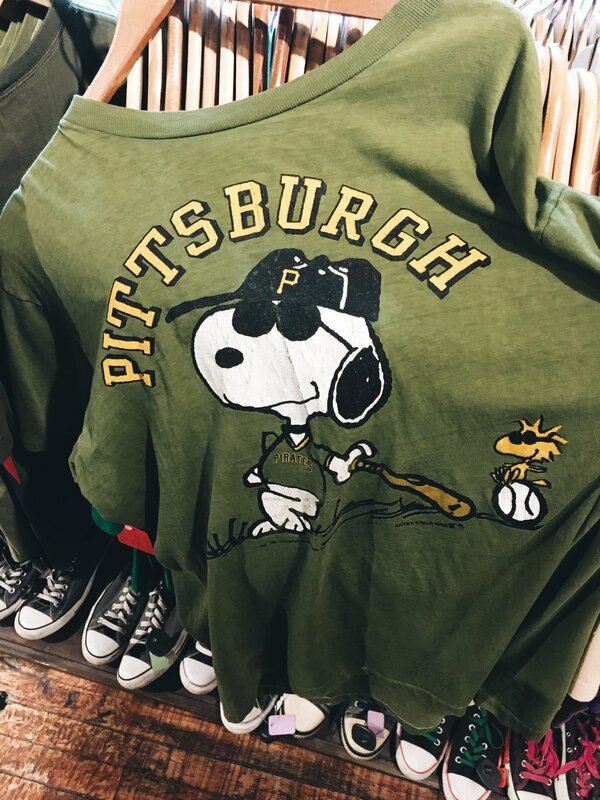 Having major FOMO that I passed on getting this tee from Stella Dallas Vintage in Williamsburg. Spent my last day hopping between Soho and Midtown for meetings before dinner with my girls at Kiki’s in Lower East Side. Per usual, my most recent trip to NYC was an amazing few days visiting some of my closest friends and finishing off with a productive day of meetings. My friends made a point of introducing me to new coffee shops, restaurants and vintage boutiques, and of course we also slid through to some of our old favs. Be sure and add some of these (if not all) to your itinerary the next time your travels happen to take you there.